miYim®, a division of Famili Plays LLC, is a creator of plush toys made from organic cotton and colored by natural eco-friendly dyes to help to make your home a safe and chemical safe environment for you and your child. Having recently gone through a rebranding, Famili Plays LLC line of miYim® toys was ready for reintroduction to the US market. A new miYim® website needed to be created with approval from a multinational team of partners based in China, Thailand, and America. Famili Plays LLC chose Seadev to develop their miYim® brand reintroduction website because of our extensive experience working with multinational organizations. A unifying vision was to emphasize the warm and joyful feelings of family playtime. 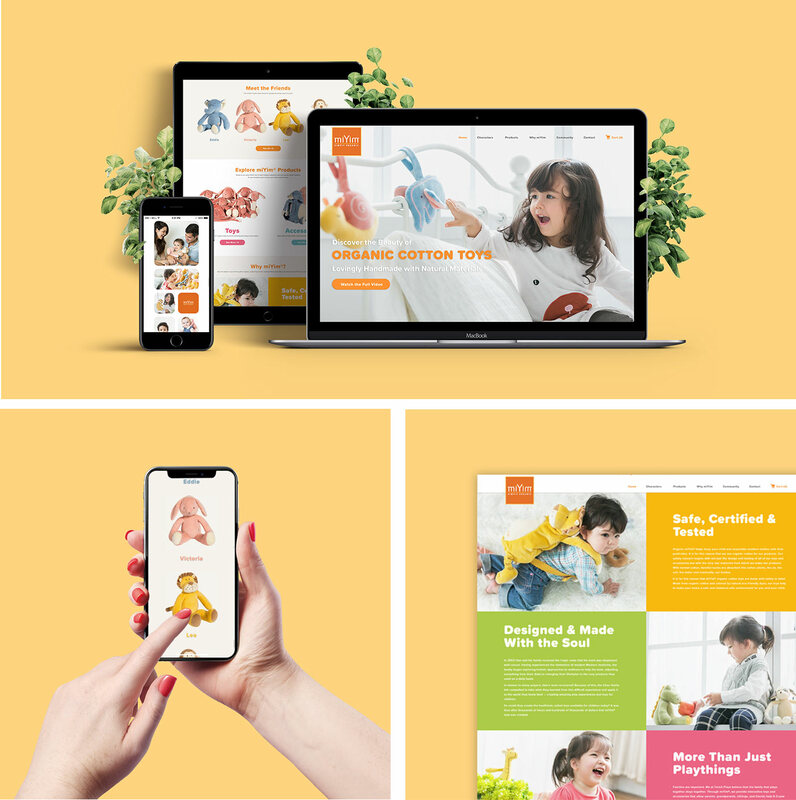 We achieved this through the presentation of instant-play, immersive video on the new site’s homepage which draws the visitor into the product’s clever design details and the sweet family moments they bring to life. Shortly after the launch of miYim®’s brand reintroduction website, Famili Plays LLC returned to Seadev for a shopping cart feature in preparation for a major Expo that was less than a month away. For their participation in the 2017 ABC Kid’s Expo in Las Vegas, Famili Plays LLC wanted to increase their wholesale sales capacity by enabling distributors to place online orders directly from the Expo. To meet this time-sensitive need, we put our team’s full force behind a new E-Commerce solution that readied Famili Plays LLC to maximize this major brandraising and sales opportunity. Throughout the process we served as a source of coordination and collaboration among the project’s many culturally diverse stakeholders, reacting quickly to their needs and within their budget and tight timeframe. Early into the rebranding launch of the miYim® site, Famili Plays LLC received live feedback from buyers and distributors which our team responded to in real-time to modify the E-Commerce portion of the website to best meet these target audiences’ needs. Now, in addition to active sales in Korea, Taiwan, and Hong Kong, miYim® plush toys have successfully recaptured the US market.